So guess how happy I was when I saw Hero Arts latest digikit... a whole Paper Dolls Digikit! I mean how cute can you get??? So I got to it, and made a card I'd have liked to receive as a kid. I put the doll and clothes into a little acetate pocket that I stitched to the paper. The clothes were all printed onto papers from Echo Park's Sweet Day digikit. I have another card to share with this kit - back soon! What a fabulous card! Great stitching, too. I used to enjoy playing with paper dolls as a youngster also. They never go out of style. What a fabulous card Lucy. I used to love paper dolls when I was little. Hope you enjoyed your holiday. Such a nice idea! Love it! Oh my, I want to play with this...totally gorgeous Lucy, takes me back to those days! Hugs! I made a card with a similar kit last year here but mine was so fiddly to construct, I might have a go at your way instead! Such a perfect idea. 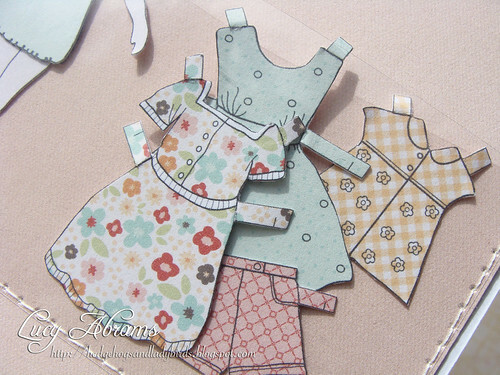 Love the paper piecing on the dresses! 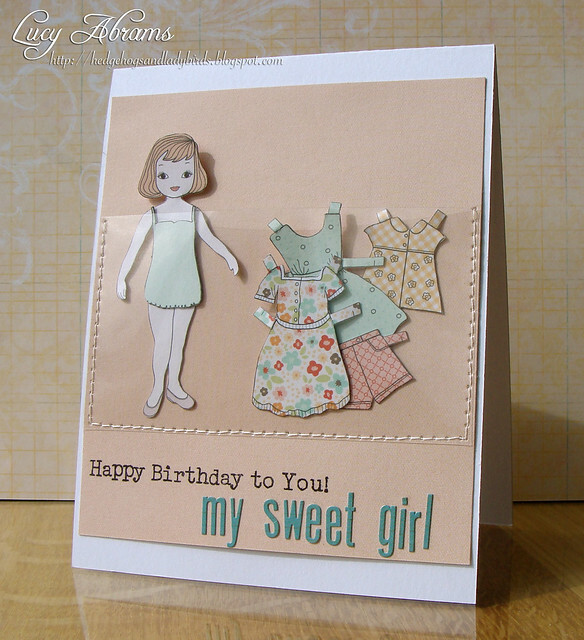 What a great idea for a card for a little girl - makes it a gift too. Oh my gosh what a darling idea! Woowwwwww this card is so great!! This will make little girl very happy!